It's just Chicago. Reporters or folks from elsewhere might call it the Windy City but no matter what, that tag has little or nothing to do with weather type wind, but more to do with windbag politicians of yore (and maybe even currently, Chicago /Cook county politics are crazy). And please note: we never call ourselves “Chi-town”, that is just so stupid and all you will get are weird looks if you refer to Chicago that way. The actual native American word for the area was shikadwa, translated as “wild onion” or “wild garlic” and probably hinting at the somewhat low lying swampiness of the area. You might get an olfactory hint of swampiness if you were to drive out by the Metropolitan Water Reclamation Project, but thankfully for you, my friend, that's a hike from where you will be! As far as weather is concerned, I am sure there will be weather in Chicago from March 9th through 12th. except for some pockets of population on the SW side (near where “Mare” Daley lives). And the downtown area where the conference is being held will be safe, don't worry about crime in this area. Speaking of area, let's get a lay of the land. 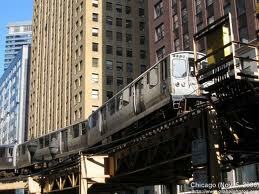 Downtown where you will be based is the "Loop" business district with some arts and museums thrown in. There is really no hip or wild nightlife in the central downtown area (sorry, it's not my fault). If you want to get a little crazy you need to head north. In fact, for the best restaurants, either fancy or cheap yet interesting, for clubs and shopping, etc. you want to head north. The first north location would be the Magnificent Mile or Mag Mile, a stretch of fancy hotels, restaurants and shops on (and radiating out from) North Michigan Avenue beginning from just over the crossing of the Chicago River (the Wrigley Building and the new Trump Tower) up to 1000 N. Michigan (Michigan at Oak). It's okay to just window shop in this area, that's what most non-rich people do, and it's a fun area to stroll when the weather is nice. From Symphony Center you could walk this with good shoes, or get up past the river via public transportation. You'll also see the historic old stone water tower and pumping station, one of the few buildings to survive the great fire of 1871. Anyway, the other area somewhat close is River North, full of high end art galleries but also some touristy stuff too- this is the area a bit west of Navy Pier (which juts out into the lake and is hard to miss as it has a ginormous Ferris wheel on it- more about Navy Pier later). 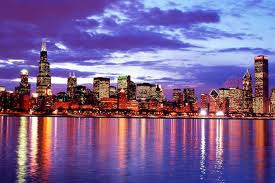 If you really want to get to the cool and funky areas you need to get up a little further north to the neighborhoods called Lincoln Park, Bucktown and Wicker Park where you will find all manner of cool shops, funky little restaurants at all price levels serving all imaginable world cuisines, etc. If you are cool you will wind up there. If you are not cool, you will just sit in your hotel room watching Golden Girls re-runs or maybe Ice Road Tuckers, but who am I to judge?! A cab ride will get you up to these neighborhoods (which are also generally safe day and night) though you should try the “el”, the red line and brown line are the ones which will get you up that way. So to recap, all the cool stuff, both very expensive and also cheap and trendy/funky is up north. If you were to go west you are going to sort of wind up in factory areas and weird parking lots-- it will remind you of New Jersey. If you are from New Jersey you may feel very at home here, and I am happy for you. If you head south, there won't be much going on, as sadly, efforts to rehab the South loop area were building steam until 2008 hit and all the banks stopped lending to rehabbers. If you go east, I would suggest swim trunks and a snorkel. However, if you stop short of falling into the chilly waters of Lake Michigan, you will find a great running and bike trail right near the lake which stretches many miles- also safe day and night. Just be careful crossing Lake Shore Drive to get there. By the way, if you head east straight over from Symphony Center, before you hit LSD (that's Lake Shore Drive, not a drug) you will come across Buckingham Fountain, a really cool large fountain which will probably not be turned on yet (sorry, come back in May or June!). It was a gift to the city from Lindsay Buckingham and Stevie Nicks back when they were flush with large amounts of Franklins. Regarding fancy restaurants, especially in the near north area, your best bet is to get a copy of Chicago Magazine and thumb through for ideas, or read what food critic Pat Bruno has to say recently. Just keep in mind that these fancy places will be booked heavily, so don't expect to just walk in and get a table in the evening. Your fearless ACDA executive director, president, and other officers who have worked hard to make this conference happen seem quite smitten with the eats at Gioco (Italian), at 1312 S. Wabash, just a few blocks south of the Hilton. This would be considered “South Loop”, by the way. Actually inside the Hilton is Kitty O'Shea's casual Irish pub which serves a good fish and chips. Chicago composer/conductor Wayland Rogers recommends Russian Tea Time (often called the Russian Tea Room), which is super close to Symphony Center and the Art Institute. They serve delicious Russian, Slavic, and Jewish food, including vegetarian fare. Afternoon tea there is delightful and you may be treated to Balalaika music. Wayland also says to not forget to sample all the many vodka drinks (oh, those composers!). Well there are some pizza wars in Chicago. Lately they have been accusing each other of sneaking in cheaper ingredients. Maybe we need to give them all a time out. The usual heavy hitters are Lou Malnati's and Gino's East, but you also can't really go wrong with Pizzera Uno, Giordano's, Edwardos, or Nancy's. Most of these joints have near north locations (remember,“Go North”), and some just a bit south of downtown, and they all are going to deliver. 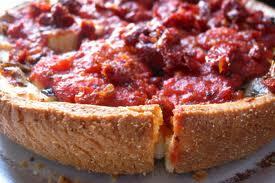 For any of youse from the east coast, please don't order a Chicago pizza, deep dish or thin, and try to fold it in half and cram it down your throat, that's just disgusting. Chicago style hot dogs: these are kosher all beef dogs steamed but not made into blecky mush and served on a poppy seed bun, The standard toppings are mustard, raw chopped onions, pickle relish with plenty of neon green dye (the rest of the planet's supply of neon green dye will go into the Chicago River for St. Paddy's Day), tomatoes, a dill spear, sport peppers, and celery salt. What you will pledge as a respectful visitor to Chicago is to NOT put ketchup on that dog. Step away from the ketchup and the catsup too. Put chocolate sauce and sprinkles on it if you want, but no ketchup. The best dogs will not be soggy, they'll have some plump to them. 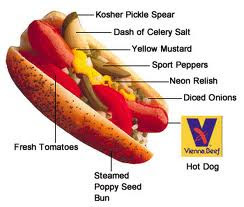 And you won't usually go wrong with joints like Hot Doug's, Portillo's and even the street vendors. If your dog is soggy and tasteless, ask for a replacement, as no self-respecting hot dog vendor here will want you to be unhappy with their product. There is a newcomer I haven't tried yet- Franks 'n' Dawgs, making upscale haute dogs from scratch. Italian Beef: This is a bit tricky to advise on since Italian Beef sandwiches vary in quality a lot even from the same joint. Best places to try: Mr. Beef on Orleans (666 N Orleans- there's a devil of an address), Portillo's at 100 W. Ontario and the #1 Al's Beef at 16 W. Ontario. Some people love Al's, some think it's overrated - you decide. Oh, and if you order “juicy” or “dipped” you will need napkins, a whole bunch of them. Btw, here in Chicago soda can be called pop, and pop can be called soda. You can even call it both at the same time. But if you want something stronger you wouldn't do too badly than to try some locally made suds from Goose Island Brewery. I am assured that no geese are harmed in the production of these ales, which I am sure will make you very hoppy. There are two brewpub locations, and the one on Clybourn is on the same block as Franks N' Dawg's, by the way. If you haven't gotten your fill of music and you love jazz, you deviate, go to the Jazz Showcase which features national acts (real jazz, not dumbed down stuff) in its new location a bit west of the Hilton or the Green Mill up north which features strong progressive local talent, and also a no cover jam session from 1:30 to 4 AM Friday night (hmmm, you better be a real night owl for this one!). These are both great places to hear real jazz and where people actually shut the heck up and listen. 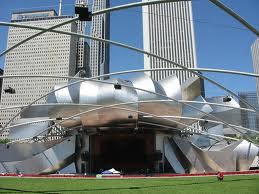 As far as other arts events, you could check out what's going at the Harris Theater which is right downtown (actually underground at Millenium Park, cool huh? 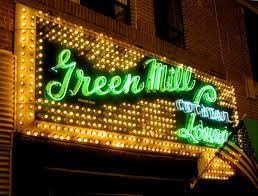 ), plus all the usual theater joints like Steppenwolf, Goodman Theater, etc. 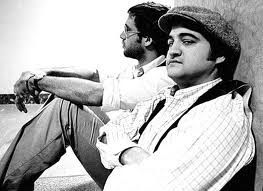 If you want to check out a Chicago institution, head to the Old Town neighborhood (basically about North Ave. and Wells St) to visit The Second City, where a ton of folks like John Belushi, Alan Arkin, Bill Murray, Tina Fey and many others got their start in comedy. There's also a great flower shop in Old Town and a cool grocery store called Treasure Island. As a kid I had the good fortune to hear John Coltrane play a gig in Old Town shortly before his death. Broadway in Chicago is thriving if you want to see a Broadway show and you might also want to visit the Biograph Theater in the Lincoln Park neighborhood, 2433 N. Lincoln, which is being redeveloped for live theater. Its claim to fame is for being the site where John Dillinger met his end, just after exiting the theater in 1934. The facade of the theater and adjoining business were redressed to appear as they did in 1934 when the Dillinger film Public Enemies, starring Johnny Depp, was shot there in 2009. 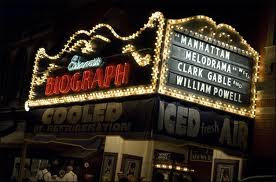 A movie theater still showing great art films and documentaries is the Music Box Theater at 3733 N. Southport . You could also check things out downtown at the Siskel Film Center for more interesting films and documentaries. Not afraid of heights? Then the two places to see the city from up in the sky are the Skydeck Chicago at Willis- Sears Tower and The John Hancock Observatory. The Sears is usually preferred, I suppose because it is 353 higher, but check the websites out and decide yourself which one interests you. It's best to get tickets in advance via the internet to avoid standing in ticket lines. You can stretch your legs a bit and walk to the Sears from where our main venues are- head west on Adams, or head north on Michigan Ave to the Hancock. Chicago is known for architecture- Mies van der Rohe, Louis Sullivan, Daniel Burnham, Frank Lloyd Wright, Helmut Jahn, et all-- a whole bunch of important movements. 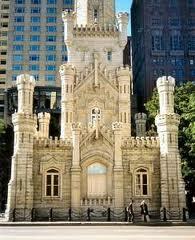 You can learn about these via Chicago architecture bus and walking tours (the boat tours won't be running yet). What I would hope you don't do is ever get a true glimpse without sunglasses on of what Soldier Field has been turned into. 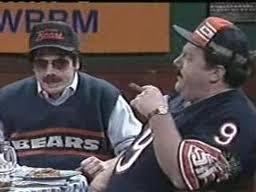 It was a big old lakefront stadium with Roman columns and has hosted the Rolling Stones, popes, and is where the Chicago Bears play defense and pretend to play offense. When the city and the Bears wanted to modernize or should I say monetize (think fancy skyboxes for rich fans) the tired old place no politician or city mover and shaker would go on record as wanting to tear this historic place down. Yet they still wanted to create something glitzy and modern. Their regrettable solution was to build an alien space ship looking steel and glass thing and land it on top of the old stadium (Mars Attacks II- akk, akk). It's easily the ugliest thing in the whole city, the renovation caused it to lose its national landmark status, and I gag every time I see it- an example for us all of how compromise can often result in an enormous disaster. There are plenty, but the one you really need to see is right across the street from Orchestra Hall/Symphony Center. 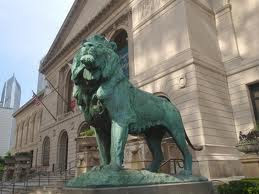 It's the Art Institute, which houses, among other major holdings, an incredible collection of French impressionist art. 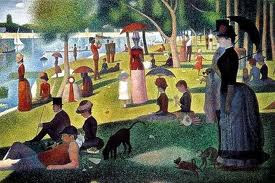 In fact, many famous paintings you perhaps may have assumed to be in in the Louvre, are actually here in Chicago- the Seurat La Grande Jatte (dang, it's way bigger than you expect), six of the Monet haystacks, a whole slew of van Gogh's and so on. There is also a wonderful display of Chinese ceramic art to die for, and also a great bookshop/gift shop and a pleasant cafeteria on the lowest level. 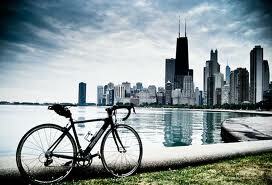 If you only go one special place while in Chicago, this should be it! And, by the way, if you have already been to the Art Institute in the past, please know that in 2009 an entire new architecturally gorgeous addition was created to hold more modern art. 1) Art Institute 2) Field Museum of Natural History (walk or short cab ride 3) Shedd Aquarium (moray eels are so cute, ya know) 4) Museum of Science and Industry (some great new interactive exhibits, but a bit of a haul from downtown) 5) Adler Planetarium. Numbers 2, 3, and 5 are near each other in what is called the museum campus, near the dreaded Soldier Field. Walk north from the Art Institute just a bit (you will be on Michigan Ave on the east side of the street) and you will run into Millenium Park, with the new band shell (or shall we say orchestra shell, as its main summer group in residence is the Grant Park Symphony) designed by Frank Geary, the dude who designed Disney Hall in LA. 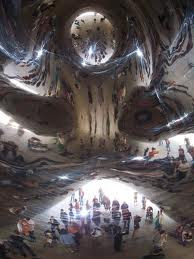 You will also want to get up close and personal to admire Anish Kapoor's Cloud Gate, but call it by its nickname “The Bean”. Go ahead and touch it, walk through it, take pictures, it's an amazingly fun piece of shiny public art and it's impossible to go see the Bean and not smile (and have someone take your picture). Millenium Park is a very cool place to go wander through-- it's all free and will especially be fun for you if the weather is nice during the conference. Well there you have it, my ACDA friend- please come to Chicago for some great music, eat some pizza, visit The Bean, visit the Art Institute, get out there and head north to the nightlife and whatever else you want to do. You can experience Chicago on the cheap or spend a ton of money at some very fancy restaurants or art galleries- it's up to you. Final piece of advice: If you want to avoid icky touristy stiff- stay away from Navy Pier. I will bet that most of the kids singing at the conference will wind up there, but it's nothing special. We also have dopey stuff like a Rock n' Roll McDonald's and so on that kids seem to go crazy over, but I think you can do far better than that!Also, we have a Chinatown but it's kind of dying out- not much to see or do there. And Rush Street has lots of cheap bars, but they generally attract heavy partying young folk. Go if you like, but it will be a bit like a typical Florida spring break bar crawl atmosphere on Friday and Saturday night. Also, you can get to and from downtown O'Hare or Midway airports via the blue line for O'Hare and the orange line for Midway. It's not glamorous, but it's way cheaper than a cab! 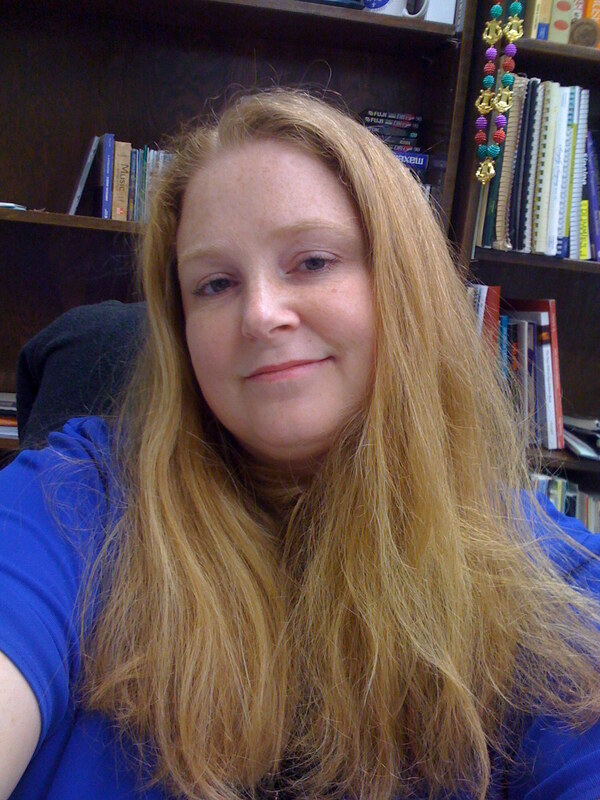 Dr. Caroline Carson is Director of Choral Activities at The University of New Orleans, Director of Music at St. Paul’s Episcopal Church, and is Louisiana ACDA R & S Chair for Ethnic/Multicultural choirs. She has worked with the New Orleans Civic Symphony and members of the Louisiana Philharmonic Orchestra. Caroline sings professionally with the NOVA Chorale, Jefferson Chorale, and Inconspicuous 8. A motivating clinician, she is considered a “mover and shaker” in New Orleans, connecting and informing the choral community as well as creating New Orleans’ first Brazilian music festival. She has traveled to Bulgaria seven times, participating in conducting workshops, teaching, observing in the schools and interviewing conductors. Caroline has a 14-year old kitty named Sasha and is considered a pun queen in at least three states. PC: Can you tell us about each of these very interesting music jobs you hold? And please tell us what makes each one fun and/or challenging. CC: My full time position is the Director of Choral Activities at The University of New Orleans (UNO). I love this job because I am the choral expert on board, I get to challenge myself and my students with regard to programming, I love teaching at all levels, and I respect my colleagues and the support they show all of our music students. UNO, as many universities, is troubled by budget cuts and politics. I’m often frustrated by the lack of choral awareness by faculty outside of music and the amount of commitment in general from the state and the university with regards to all of the arts. I am more frustrated that I have seen little civic and media support for the university and I feel that locals often truly do not grasp the importance of having us in their midst. Nonetheless, I am encouraged that I have been able to bring back the select ensemble and have full choirs since I have been on board and that the department as a whole is above pre-Katrina numbers of music majors! The students are definitely hard-working and come from all walks of life. There are very few attitudes of entitlement at UNO. Students often have two jobs, family, and pay their own tuition. I have been able to give them many different experiences as well as strengthen my own abilities. I have also been able to work with the New Orleans Civic Symphony which rehearses at UNO. This is a lot of fun! My next job is as Director of Music Ministry at St. Paul’s Episcopal Church in the Lakeview area of New Orleans. I love every moment of this job and I love the mysticism and freedom within traditional structure of the Episcopal Church. I am not an organist so I feel extremely lucky to be here. When the position was split into two people, I immediately applied. When I bought my Choirmaster cassock and cotta, I cried when they came in. It was truly a dream to work within this denomination. I feel have been able to maintain a good choral program from my predecessor and I am taking my choir on an 8-day residency in England next July! I feel this is a noble job and I relish interacting with my Episcopal music colleagues locally and across the country. I personally feel and say that I am “Cathedral-trained” and my voice is capable of sounding clear and almost like a boy chorister. I have sung in residence myself at several major cathedrals and had life-changing experiences. There is nothing quite like lining up for Evensong in Salisbury Cathedral, with the afternoon sun allowing long shadows through the towering glory of Medieval stained glass, knowing that you are part of a long-standing tradition of excellent music and the whole communion of saints. Two years ago, I worked at the Baptist Theological Seminary and had several conducting students. That year was extremely hard with all the extra work, but I am still being rewarded by those connections and students. Like most choral directors, I adjudicate and occasionally work with groups. It’s outside both jobs and keeps me busy, but I love it. I work hard so I also play hard. Next, I’d say Robert Shaw was a strong influence. Singing for him was like another graduate degree. I learned more about the depth of music from him. My favorite quote is attributed to him and is part of my philosophy: Regarding choral singing ... "I believe that joy should sound like joy and pain should sound like pain. I don't want to hear voices -- I want to hear souls!". Lastly, I am going to be vain and count myself. The amount of self-teaching I have done is significant, as is overcoming debilitating performance anxiety (which I work on almost daily). I also consider myself a survivor for other reasons, but mainly….I continue to teach myself new things and truly view life as a hopeful journey. CC: Yes! I remember when I learned that conducting didn’t always have to be in a pattern….that one could be “out of the box”. It is rather humorous now, but I still remember Larry Wyatt laughing at my face when I realized it. I will never forget when the ASOC (Atlanta Symphony Orchestra Chorus) was performing Brahms’ Nanie after Mr. Shaw’s wife had died and he became so moved that he slowed down and lowered his baton and put it down and just let the sound wash over him. I learned that even when we are in control….we aren’t and that sometimes, you must listen to your soul speak without ability for words. In Bulgaria, conducting in a workshop with Maestro Marin Chonev and Larry Wyatt, I was berated for being facially expressionless and I discovered that without darkening my eyebrows, people could not see them and that I was really being expressive. I think it was more of an “a-ha” moment for the orchestra. CC: Wow, there are so many, it’s hard to choose. Being in a frozen cathedral in Poland with the Emory choir singing and seeing people weeping and kneeling on the stone floor. Being in Padua at Saint Anthony’s basilica and finding myself in a pilgrimage line to touch his tomb when a Spanish choir began to sing. When they went from unison into polyphony, I think the heavens literally opened. Hiking in Italy and coming across a castle monument with a 7-second echo in a 3-story rotunda and seeing no one else around, chanting the Divinum mysterium and being in polyphony with myself! Being onstage with the Charleston Symphony Orchestra, directed by the late maestro David Stahl, and singing the “et lux” portion of the opening mvt of Verdi’s Requiem. CC: I would love to perform Brahms’ Ein deutsches Requiem or Verdi’s Messe di Requiem at some point. Verdi’s Requiem is so dramatic and I find this attractive. Brahms’ work is both healing and rewarding. I feel I know them so well that I could “be” the music while working with it. That is appealing in itself. I would very much like to do a Bach passion. I feel that everyone should be touched by these works and the life of Bach. CC: THREE?! Verdi Requiem, Bogoroditse Devo from Rachmaninoff’s Vespers, and Beati quorum via by Charles Stanford......and there are way more than three favs! PC: I know you do some in depth research into Bulgarian folk music and church music. Could you tell us more about that, including your travels to do research onsite? What future research do you hope to do in this area and what attracts you to it? CC: I truly love Bulgarian folk music and other “world musics”. Bulgarian folk choral tone is strikingly different than bel canto singing. Sometimes criticized for being flat and harsh, Bulgarian music is full of vitality and vibrancy. It is significant in that it is one of the voices of peoples long-silenced, as is the music of places such as Estonia. I am amazed at how old Bulgaria is and how ancient civilizations there had one of the first agricultural societies as well as the world’s oldest gold, found in the Varna necropolis. I first paid attention to Bulgaria when my mentor Larry Wyatt went to lead a workshop and then returned with a business card to give to me. He came running up “I found you a husband….I found you a husband!” and gave me a card for “The Bulgarian ELVIS”….sigh. I then laughingly listened to the grads who had taken the workshop and decided that in spite of the fact that I wasn’t an Elvis superfan, but that I should see this country. I went and was immediately entranced by the people unique folk music styles and this huge body of unknown choral music written in a more “Western” style. I created a proposal to return the following year and teach a week after the conducting workshop which I took as a student. It was accepted and so I went back another two years to teach smaller classes / workshops after I took my own workshop. One year, I just went to visit and another year, I brought my UNO students to participate in a workshop on the Brahms Ein Deutsches Requiem. I have not been back in a few years, but I hope to go again in the next few. I hope to put out a choral study related to my dissertation and also a photography book and a cookbook now that I have learned the ins and outs of self-publishing books. PC: Your website is so filled with great choral and musical resources- I think everyone should know about it. And of course there are fun and funky things there as well. How does your website reflect your personality? CC: You are so nice to have visited my website and to say that – thank you! : ) I feel like the website reflects me - in that I have many interests and try to have something for everyone. I’m a little bit crazy so my site is too. I am fascinated by unique things. I felt that there was not anywhere out there that collected info on Voodoo, Hoodoo, and Gullah so I’ve tried to collect info and resources. Being from Charleston, SC and now New Orleans, LA, you hear more about those subjects than the average person. I’ve updated it from last year to have separate pages on different subjects – including a lot of info on overtone singing. It’s meant to be a resource site and my students use it for quick links to the local music scene. The site is both personal and professional and that’s the way I am too. I’m not afraid to be myself anymore. CC: I LOVE living here! I moved here the year after Hurricane Katrina. New Orleans was broken - in many ways and I also felt broken. I felt like I could make a difference somehow with academic rebuilding and I was ready for a change from land-locked central Georgia (though I loved it there too). Living here, I’m quite sure my cholesterol has gone up from all the fabulous foods. I have a lot of friends and I am slightly less self-conscious than I have been (this could be age though). Occasionally, I am frustrated with the laid back nature of so many things here, but it has its charms too. I am once again able to sing in ensembles under different directors as well as direct them. To be a good leader, one must be able to follow. Jazz is an obvious influence here and is all around you. I didn’t really listen to jazz much until I moved here, but I do love it and have been very lucky to make several friends in “the scene.” I regularly attend jazz performances….just not as much as choral concerts. I live on the border of the French Quarter so it’s great walking and close to several venues. Unfortunately, the wonderful choral, symphonic, and opera opportunities aren’t highlighted by local media very much. I have heard people say time and again “This isn’t a choral town”, but I go back and forth about that. The city has made remarkable strides back to its former self (before Katrina) in the past five years. When I first came, many people were still in immediate shock. There was something missing in their eyes. Now, people have gotten over it to a certain extent, and certainly with the Superbowl win last year, it felt like a city that was connected and hopeful. There are still problems: people living in gutted houses, delayed road home funds, insurance battles - different from one house to the one next door, road signs missing, HORRIFIC road conditions, oil spill damages (and troubles for the next 200 years environmentally) and a host of other issues. The population is still well under what it was formerly. Nevertheless, it is a fabulous place to live and with tremendous opportunity for anyone considering moving here. The city is similar to Charleston, SC in many ways. I feel as if I have come home. I think visitors on a three day visit should NOT come in August. If you’ve never been here, you might consider having beignets & café au lait at the Café du Monde in the French Quarter, eating a muffaletta (if you like them and I don’t), and bumming around the Quarter. Go and see “Beyond All Boundaries” at the National WWI museum – it’s VERY well done. Go to City Park and enjoy the New Orleans Museum of Art and the Botanical Gardens. Take in an evening of fine jazz at Snug Harbor jazz bistro, go to Mulate’s for Cajun dancing or Kerry’s Irish pub for some folk music. If you’re here over a weekend, you may catch the symphony or opera and you’ll of course want to come by St. Paul’s to meet me! CC: I hope they will keep in mind that the desires to conduct and make music must be present and not simply the desire of glory from a conducting career. Learn to play the piano. Let go and love what you do…don’t become bogged down in beats – conduct the MUSIC! Be effective, not wordy. You are often faced with a job that won’t give you the experience you desire. YOU must get out and make your own experiences: get that church job, create that ensemble, go and sing for someone else after you graduate, take a workshop in the summer, read books. 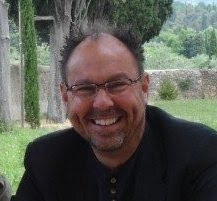 Tim Sharp (BM, MCM, DMA) is Executive Director of the American Choral Directors Association (ACDA), the national professional association for choral conductors, educators,scholars, students, and choral music industry representatives in the United States. He represents choral activity in the United States to the International Federation for Choral Music (IFCM). PC: You travel the world these days guest conducting and also connecting with choral organizations all over the globe- how would you describe the status of the global choral music field today and what changes globally do you foresee in the next ten years or so? TS: It is very encouraging to witness the amount of participation that is taking place around the world in choral music making. And, I include the United States in that observation. In the most recent cultural survey from the National Endowment for the Arts, choral participation is at a higher level in the United States than it was five years ago. I think it is “up” in many other ways—in travel, in excitement, in the “cool” factor, in media attention, and in quality of composition and performance. In terms of status, I think we are seeing a renaissance in choral composition, and we are seeing composers treating the choir as an idiom of expression that is uniquely “choral.” The choir is considered a serious instrument, and I hear that both in composition and performance worldwide.I think people will hear that in a dramatic way at our upcoming National Conference. I also see the choral organization as a new social entity, as we witness choirs forming around ideas such as hospice choirs, complaint choirs, prison choirs, bicycle choirs, flash choirs, along with our more conventional titles. PC: Along the same lines, what impact do you foresee from the increased activities in the US by Interkultur and the World Choir Games being held in Cincinnati in 2012? TS: I see this activity as a continuation of our priority of becoming a more international and world choral participant. ACDA is a founding member of the International Federation for Choral Music, and we remain very active in this world choral organization. Bringing the World Choir Games to Cincinnati is further evidence of our desire to expand our boundaries and understanding. It is such a thrill for me to see an American city embrace choral music in the same way many cities embrace sporting events as a civic focus. To have 400 choirs from around the world converge on an American city for performance and cultural exchange is truly history in the making, and ACDA is proud to be a part of this partnership. PC: How do the big movers and shakers in the European and Asian choral world view our US choirs, choral sound, and teaching methods? Are there areas where they just perhaps don't even get what we are up to? TS: When it comes to choral performance, I believe we speak something of a universal language with our colleagues in other countries. However, when it comes to choral pedagogy and choral music education, there are vast differences. The history of the growth of professional training in [American] choral pedagogy and conducting tracks right alongside the growth and development of the American Choral Directors Association. This is one of the reasons that so many of our colleagues in other countries come to our onferences and enroll in our colleges and universities—they want to learn from our work in the area of choral music education and conducting pedagogy. This year, there are over twenty countries that will be represented in participant registration for our National Conference. We often praise the sight reading skills of individual singers in other countries, but other countries will single out the progressive work we do in the United States in the area of gestural conducting and rehearsal pedagogy. Another interesting difference is in the base of operation for many of our choirs in the United States. The largest membership category for ACDA is in the area of directors connected to an educational institution. However, in many other countries, community choirs greatly outnumber choirs based in academies. PC: I believe ACDA membership is on the rise, and I have heard that the upcoming national conference in Chicago has already had a large number of people registered to attend -- what is ACDA's current model for membership growth? Also, is there a plan for bringing in more young teachers as members and perhaps expanding the number of (university) student chapters? TS: Our largest area of growth in ACDA is at the level of student membership and young professionals. Our student membership base was 150 larger than this time last year, and due to the good work of our various state chapters, student membership is on the increase. This is good news for the future of choral music making, and certainly it is good news for ACDA. We have incentive programs in place for the creation of new student chapters, and for states to recruit first-time student members of ACDA. These programs have been embraced enthusiastically by many of our state chapters, and we see the results in our expanded student membership base. Our strategy is to grow our base from young professionals entering the field, and to grow our student membership base for future teachers, conductors, and leaders. After a few years of flat growth across the association (new members replacing members that had dropped off the membership rolls, but the number remaining the same), in January of this year, ACDA’s membership has returned to the level it enjoyed in mid-2000. It was during that period that ACDA had moved into its new headquarters in Oklahoma City, and a time when our National Conference had expanded significantly to a multi-track event. And while the Great Recession starting in 2008 was sobering for all of us, we are now seeing the positive results of our renewed since of mission and purpose, along with stimulus work to bring new professionals, students, and others we are mentoring into their professional organization. PC: As a composer myself, I applaud your obvious interest in our living choral composers. How do you foresee ACDA initiating more interaction with composers in the near future? And how do you see ACDA and ACDA interest session organizers adapting to the rise of "self-publishing" composers, which may be something the traditional publishers and retailers may not be that interested in exploring? TS: ACDA has taken some recent steps to move more aggressively into living out one of our primary purposes as stated in our Bylaws and Constitution, which is to “Foster and encourage choral composition of superior quality.” This past summer we co-sponsored the LeHigh Composer’s Symposium, led by Steven Sametz and Chen Yi, and I was encouraged and inspired by the robust participation in that incredible event. I have an ongoing conversation with some of our Brock composers, including Steven, on this topic, and I am hoping to make the activity that is already taking place with our commissioning initiative much more visible and available to choral composers as well as those interested in their compositions. I also want to be more aggressive in seeing works that ACDA has commissioned, receive additional and ongoing performances. All of these efforts will benefit by making the activity more visible, and searchable, within our organization and its various programs, conferences, and other activities. Regarding the rise of “self-publishing”, the many performance activities of ACDA are the natural place for composers to have their compositions considered and performed. How a work is discovered and distributed has never been a parameter for ACDA performance consideration. The only issue for ACDA is the quality of a composition, and both the universal availability, and the accessibility, of the work to the broad base of our membership. PC: You and I talked in Tucson last spring about Joan Szymko's highly successful Brock commission piece All Works of Love (which, by the way, I programmed immediately for my summer program at North Carolina Governor's School). Can you share your thoughts on why Joan's piece was so successful, and also how you perceive the Brock commission and what attitude tweaks would you like to make to it in regard to the goals of ACDA, the chosen composer, and director members of ACDA? What measure of general accessibility do you think the Brock commission piece should have? Do you hope that most of the Brock commissions will enter into the general repertoire of our choirs around the country? TS: This is a conversation I hope will have a broader base of participation as ACDA thinks about strategic planning. I feel that our activity in the commissioning of new choral works is one of the best-kept secrets of ACDA. Each year, ACDA, through our various member directors, as well as State, Division, and National activities, commission many new choral works. Over the history of ACDA, this number is easily in the hundreds of commissioned choral works. To date, however, no one has cataloged and tracked all of the commissions that have the words “Commissioned by ACDA” written at the top of the score. For many reasons, we need to identify and track this catalog. I view our activity of fostering and promoting new music in terms of helping emerging composers. And, “emergence” takes place at different levels. At the student level, we have a Brock Student Composition award, and we see student composers entering this first level of emergence. Then there are composers that are receiving some publishing success, and finding their way on to programs, regionally and then nationally. And finally, there are composers that are clearly setting the pace and emerging as our laureate and established composers. I believe we are recognizing this level composer with our Brock Commission. I don’t think we would approach a composer of this stature unless we thought this composer’s work would have a good chance of entering into the significant canon of choral works available. I think you have identified Joan Szymko’s Brock Commission work correctly with this characterization of quality and accessibility. PC: Describe your work with the Tulsa Oratorio Chorus as their artistic and musical director, and what kind of growth do you hope for with that group? TS: I was very fortunate to be presented with the opportunity at the end of my first year in Oklahoma to conduct this very fine ensemble within proximity of OK City. I began conducting in Tulsa in the fall of 2009. So, each week, at the end of my workday on Monday, I drive to Tulsa for my weekly evening rehearsal with the Tulsa Oratorio Chorus, and due to the fact that they have an excellent and well-defined Board of Directors, my work is truly one of conducting and artistic direction for the organization. I have been able to grow the ensemble to their ideal size of 100 singers, performing four concerts in our season, usually with the Tulsa Symphony Orchestra. In addition to growing the ensemble and expanding the repertoire, I have been able to connect the organization to other arts organizations such as the Tulsa Opera, Tulsa Ballet, Tulsa Children’s Chorus, and Tulsa Boy Singers, in collaborative performances such as our recent Carmina Burana and RVW’s Hodie. We are also working with the Tulsa Symphony Orchestra on an upcoming “Side by Side” concert featuring our two organizations along with some of the best high school singers and instrumentalists performing alongside us. Next year will be an “all Bach” year for us, as we perform three cantatas (BWV 79, 80, 140), the motet Singet dem Herrn (BWV 225), Magnificat, and Mass in B Minor. What major work have you not yet conducted that you are just itching to do? TS: I would like to conduct Gerald Finzi’s Intimations of Immortality, as well as John Adams’ Harmonium. These have been on my “bucket list” for a while now, but so far, the occasion, forces, or time has not been right for these unique works. PC: Any guilty musical pleasures you care to admit to? TS: I enjoy playing the banjo and have been working on a “‘High’ Lonesome” mass for years, which I will finally see through to completion this spring. My desire was to create a musical service incorporating some of the folk hymns from the Southern Harmony and Sacred Harp tradition, with true bluegrass styling. My intent is to create something I am able to play myself, along with bluegrass ensemble, with any choir interested in programming the work. PC: What young composers have you got your eye on? TS: I have most recently worked with Albany, NY, composer Evan Mack. I was honored to be able to conduct the premiere of his recent choral work Of Fire and Form, at the Clay Center for the Arts in Charleston, WV. I was very impressed with Evan’s writing, and the WV Collegiate Honor Choir did a very fine job performing the premiere. In addition, Evan’s opera Angel of the Amazon in workshop stage at the Manhattan School of Music, and his ballet Pinocchio will be performed by the West Virginia Ballet in March. PC: And also what young conductors have you also got your eye on? TS: I would love to single out a few conductors, but rather than naming-names, I will mention how important the conducting masterclass experiences are that are being offered by ACDA’s various Student and Youth Activities leaders and our College and University leaders at the state, division and national level. I have had the opportunity to be a part of some of these events, most recently at Michigan’s State ACDA Conference, and the Southern Division ACDA Conference. Also, at ACDA’s “One Song” event last Fall in Atlanta, podium time was created to help mentor young conductors. PC: With all your global travel experience, what is Dr Tim's advice for combating jet lag? TS: The solution for me is to immediately be working, eating, and sleeping on the time zone I am in, no matter how radically different it is from where I left. I push through to staying active if I arrive during the day, and I eat and sleep on the local timetable. If I can sleep on the airplane, I do. And, there’s Lunesta. Sharp, himself an active choral conductor, researcher, and writer, has varied his career with executive positions in higher education, recording, and publishing. Prior to his leadershipof ACDA, Sharp was Dean of Fine Arts at Rhodes College, Memphis, TN, and earlier, Director of Choral Activities at Belmont University, Nashville, TN. Tim’s research and writing focuses pedagogically in conducting and score analysis, and various published essays demonstrate his eclectic interests in regional music history, acoustics, creativity, innovation, and aesthetics. Can you tell us about your fellowship at Clare Hall, Cambridge University? What did you gain from that experience that you probably could not have gained in the US? Cambridge also gave me access to one of the world’s great libraries, and proximity to the small town of Bedford where much of my Moravian research centered. My research there led to the discovery of the location and activity of Moravian composer, educator, and music collector Johannes Herbst during his years in the England Moravian community. I completed a critical edition of Herbst’s monumental collection Hymns to Be Sung at the Pianoforte. Steglein Publishing will publish this research in the coming year in their forthcoming Moravian series. PC: You've written on such diverse subjects as "The German Songbook in the Nineteenth Century", and popular histories including "Memphis Music Before the Blues" and "Nashville Music Before Country". I'd love to know more about your Memphis and Nashville books and research- can you tell us about them? TS: I consider Tennessee my spiritual and musical home, and have always delighted and marveled at the miracle that is the music that came from Tennessee. The birth of blues, country, bluegrass, gospel, rockabilly, and rock, are universally traced to Tennessee roots. However, any thinking individual has to ask “why Tennessee?” Many historians have enjoyed starting with the blues and country and rock to explain these roots, but my question has always been, “What was in place before the blues and country, that made the conditions right for those forms to take place?” This is what I explored in the two books you mention about Memphis and Nashville. And in both instances, the question led to fascinating discoveries that made Tennessee the home for these uniquely American popular forms of musical expression. I am also working on the third part in this series, "East Tennessee Music Before Bluegrass", but this one will take me a while to complete now that I am further away from source material. PC: As Executive Director of ACDA you no longer hold a teaching position like you did at Belmont University and at Rhodes College. What do you miss the most in regard to university level teaching and daily choral leadership? And what do you miss the least?! TS: The aspect of university teaching I miss the most is the construction, or reconstruction, of a course and a course syllabus. I loved inventing new courses of musical study, and I loved creating the experiences and readings that would take others down that path of learning. Of course, I loved being with the students, too, and I miss them very much, but my work with ACDA takes me regularly to students of all ages. In terms of what I don’t miss, while I completely understand and appreciate the conservative nature of higher education, I don’t miss the extremely slow pace in which higher education incorporates change and innovation. PC: You've done such amazing work at ACDA in such a short amount of time. How do you keep the big picture in mind when you must have 100 detail items to cross off the list as you go? TS: There are two ways I keep this tension in check: the first is that ACDA has a very strong national staff, and they are able to run much of what we depend on with skill, intelligence, and efficiency. While it is true that challenges arise regularly that need leadership and new strategies, a very capable staff handles many of the daily details. The second way I keep this tension in check is to intentionally make time every day to work on forward-looking initiatives and strategic imperatives I believe are necessary for a future ACDA. I believe part of my job is to do intentional thinking, and as I have always told my students, real thinking is difficult. For that reason, I make time to do critical thinking every day on forward-looking issues. I think that if you interviewed the national staff, they would tell you I am constantly balancing management with leadership along with “what if…” scenarios. PC: What are the top ACDA initiatives for now and the near future? What tasks currently on the table will take the most effort to achieve? TS: The most important immediate initiative for ACDA is our work on a comprehensive strategic planning process. The scope of the last ACDA strategic plan expired in 2010, and throughout last year, our Executive Committee has been in the “quiet phase” of a new strategic planning discussion. 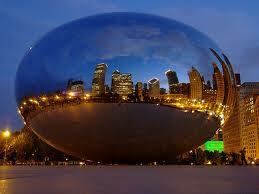 We will start taking this planning process public beginning with our upcoming Chicago National Conference. The second initiative is the priority of a new position at ACDA for education and communication. The former position of ACDA archivist has been redesigned to not only embrace the overseeing of the ACDA archives, but to also make available to our entire membership through digital distribution and viewing the vast educational and instructional holdings of ACDA. Technological advancements remain a top priority for ACDA as I help move us to a digital and 21st century ACDA. This priority specifically includes our immediate website upgrade to Drupal 6.0, the ongoing integration of ChoralNet and its vast networking and informational assets into the ACDA website, the upgrading of the database and accounting system used for all State, Division, and National record keeping, and added layers of security protection as more and more of our financial, voting, and communication transfers to digital transactions. I am excited about leading us toward conference innovation and entrepreneurial thinking toward invigorating future workshops, seminars, master classes, and conferences. And finally, as ACDA looks to the future, research and publication into our field of work remains a priority for our Association. All of these initiatives have many built-in challenges, and require overlapping efforts. Fortunately, we have an association that is ready and willing to embrace these priorities. PC: Can you describe how the Executive Director works with the elected president of ACDA? 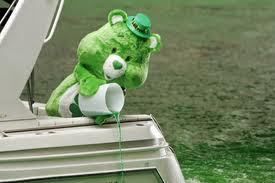 I believe you have already worked with Jerry McCoy, Mike Scheibe, and soon with Karen Fulmer. How do you personally need to adapt to the personalities and strengths of each president as they take office and make their goals for their term as ACDA president known to you? I consider the opportunity to work with these individuals one of the greatest perks of my job. Each one of these exceptional leaders brings strength to our organization, along with personal skills and artistry that I personally want to learn from. We work to be a team, and I have a great deal of respect for the position that our presidents hold during their term of office. I believe they have the responsibility of being the president for the complete ACDA membership, and I see them as “ACDA citizen No. 1” when it comes to making certain our association serves the membership. I see it more of a “balance of ideas” than any sort of “balance of power”, and I get excited when I think that these outstanding individuals are committing so much of their expertise for the good of American choral music. I celebrate the goals and visions they bring to us, and it is invigorating to me to incorporate their ideas and passions into what I see as our needs and direction. PC: I believe ACDA membership is on the rise, and I believe I have heard that the upcoming national conference in Chicago has already had a large number of people registered to attend -- what is ACDA's current model for membership growth? Also, is there a plan for bringing in more young teachers as members and perhaps expanding the number of (university) student chapters? Coming up: Part two-- Tim discusses the global choral scene, how European and Asian choirs and directors view US choirs, and also his thoughts on the ACDA Brock commission and other composer issues- don't miss it!